We are seriously inching closer to fall and totally over summer! I keep thinking cooler thoughts and hoping for cooler temperatures down here in Texas. Hey everybody can hope right? With fall weather comes all of those fun fall decorations, pumpkins, and yummy food. Do you deck out your house in fall decor? 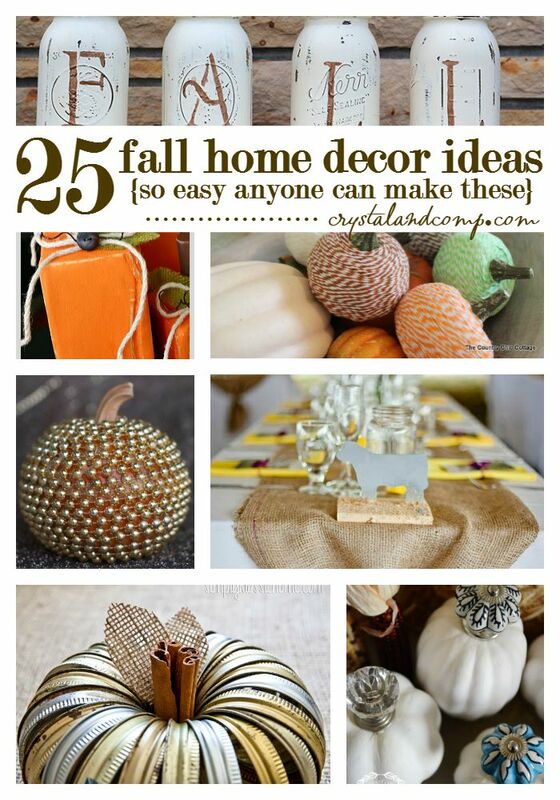 There are some really cute ideas to make your home feel and look just like fall. I love fall! It doesn’t last very long here in Texas so many of the efforts for decorating for fall are continued through Thanksgiving. Here some amazing and inspiring projects to get your home in tip top shape for the upcoming season! How are your preparing your home for fall? Share something inspiring! I’m loving the ideas for Fall. It’s my favorite season. I’m sharing a link to this post in my Thursday roundup of blog posts I loved this week. Loved this list! It was perfect for my “Pretty Fall Inspiration” pin board! I love this collection of Fall Decor inspiration. There are some great projects that I can get the kids involved in too. Will stock up on the goodies I need! I adore that canning jar lid pumpkin! That’s already on my fall DIY project list this year! Love this. Thanks for sharing at the To Grandma’s House We Go DIY, Crafts, Recipes and More Link party! Pinned this! Hope to see you again next week. Have a great day!